Patriot are a company that should be known to everyone, however being one of the largest memory and flash media manufacturers certainly helps. They also have a wide range of accessories available to purchase including tablet cases and hard drive enclosures. In the post recently however I received a slightly different product from them in .. I sit here with another Cooler Master keyboard in front of me to test. No, not the Quickfire Rapid that I said would be the next one, but a Quickfire Ultimate. The version I have sports Cherry MX Brown switches -Yay!- and a red backlight. I say Yay, as Cherry MX Browns are one of my favourite switch types – at least in mainstream keyboard switch types. Owning the PC trenches for almost two decades, Cooler Master’s veterans present their scars from battles past as claims of triumph over the competition. United with a new generation of eSports athletes and engineers, now marching under the flag of CM Storm, the time has come to reveal truly ground-breaking, military grade hardware for the gaming revolution. Through long-standing research programs, CM Storm is co-developed with the world’s most prolific enthusiasts and eSports prodigies. Thanks to intensive testing and continuous feedback, the CM Storm division has been able to encompass and improve upon gamers’ needs and their tough to handle scenarios. 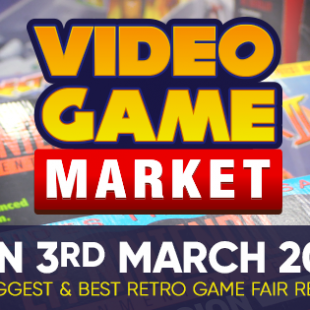 By working directly with the gaming community we have injected our Storm Tactics into each and every product we make. Storm Tactics, with a heavily dedicated focus on Strength, Security and Control, will keep your most vital gear fortified and well-tuned at all times. 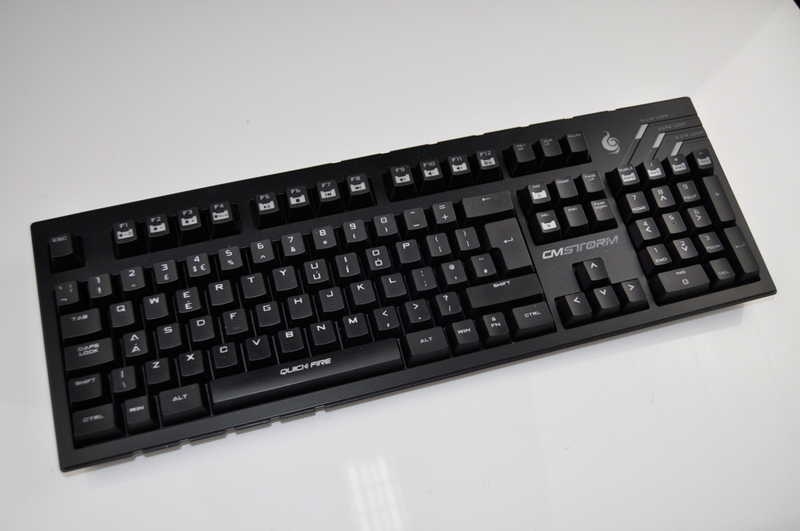 If you have read my previous CM Storm Quickfire XT review -you have, haven’t you?- then the box will probably have you experiencing a feeling of Deja Vu as it is almost exactly the same. Once again the front of the box shows the type of switches fitted to the keyboard. The rear shows information about the specifications and features in multiple languages. 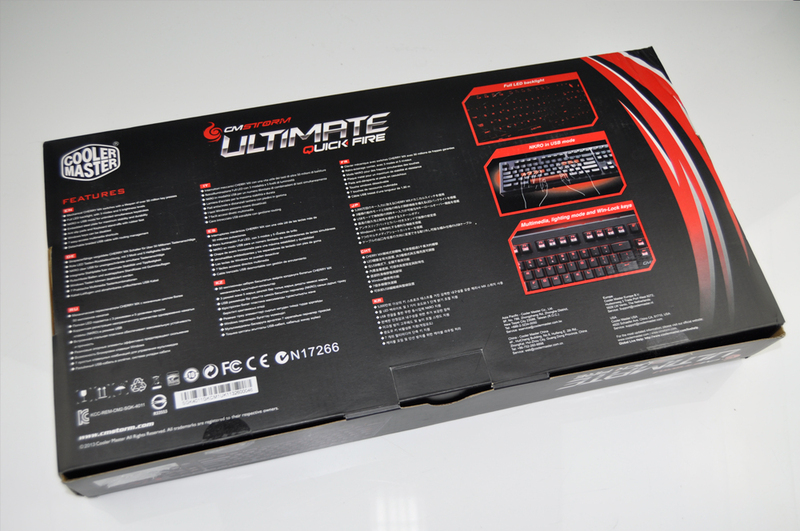 Inside the familiar box, the keyboard is once again protected by a foam bag, additionally though; the Quickfire Ultimate comes with a protective plastic cover which can also double as a dust cover when the keyboard is not in use. Unlike the Quickfire XT, you do not appear to get any replacement keycaps, or at least the one I received didn’t, you do get a keycap puller though and a rather hefty braided USB cable to go along with it which feels far better than the one provided with the XT, the cable is a more common cable as it is a Mini B to A cable. Upon getting the keyboard out of the box you can see that the Quickfire Ultimate certainly has taken a different road when it comes to styling, with it sporting a more military-esque look overall, with sharp lines and ridges which mimic rail mounts incorporated into the design. 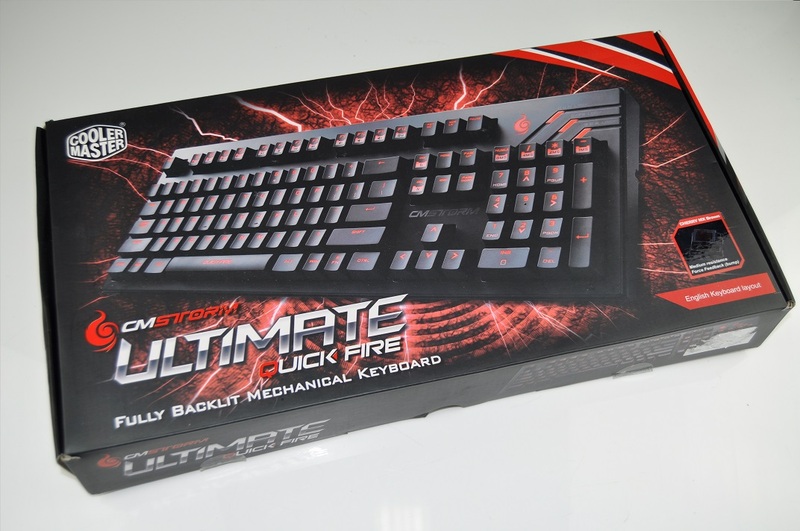 One thing to note is that the Quickfire Ultimate has lots of branding – at least on our sample – and has the CM Storm Logo 4 times on the keyboard in various guises as well as Quickfire stamped across the space bar. 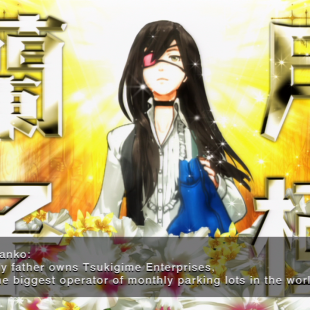 This to me is a little disappointing as I like more reserved designs. Underneath the Quickfire Ultimate, you can see where the mini USB fits, as well as the various cable routing options that are provided. One thing I noticed getting the keyboard out of the box is the different feel to the keyboard which is substantial compared to the XT, it does feel robust but slightly less so than the XT. 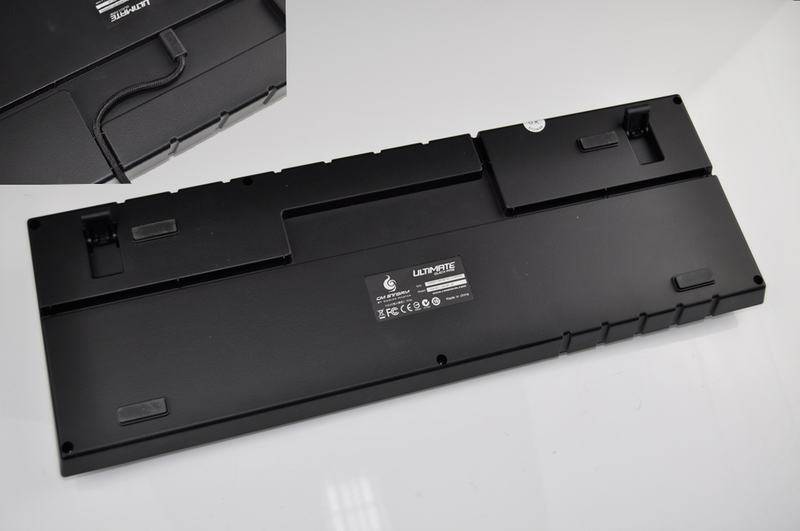 Although this is to be expected in some part as the increased features will have taken up some part of the material costs, more so features such as the individually backlit keys. Speaking of the keys the Trigger Ultimate differs slightly to other keyboards as the keycaps have a grippy surface to them, which Cooler Master say will help to reduce wearing – which we will have to take their word on. Luckily the switches we have here are of the Cherry MX Brown variety – my favourite. These keys have a lightweight feel and a notch in the actuation which means that they are a good fit for gaming and typing. As you get used to the lightness your typing should become quieter, this also means that they should be okay in an open office environment. The Quickfire Ultimate is also fully backlit and comes with 3 modes, and it has 5 brightness levels for each mode. 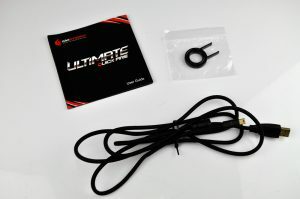 For the gamers, the Quickfire Ultimate also has an added feature which allows it to support N-Key Rollover, by USB under a Windows OS, this allows the keyboard to recognise and parse any amount of key presses at any one time, meaning you can dodge, duck, dip dive, and dodge all at the same time if needed. This is a feature that is sometimes overlooked in other keyboards, which means you will be limited to a maximum of 6 key presses, the Quickfire Ultimate has the option of switching between both these modes for improved compatibility though. 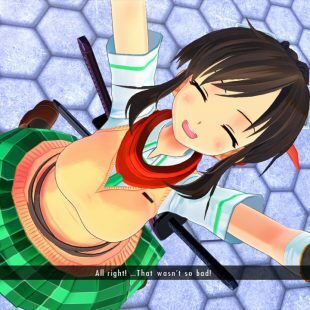 In addition to this you also have a Win-Lock key which as the name suggests allows you to lock the Windows keys making sure that any accidental press doesn’t send you spiralling out of the game. In short the keyboard was mostly fine; I did encounter two small issues with the keyboard both of which are very minor annoyances, the first is because of the larger than normal casing, it makes use of a slim wrist rest a bit problematic, the second I believe is caused by the grippy coating and the design of the keycaps themselves, it makes the keycaps incredibly easy to remove and makes them feel a bit loose if I am honest, but this could be because of the slightly different stem underneath the cap having a bit less support. I feel this is going to sound like a recycled ending, but I liked the Quickfire Ultimate. Its use of Cherry MX Brown switches makes a nice change from Blue and Black switches that other manufacturers tend to prefer in their keyboards.Whilst I can’t say the look of the keyboard is to my tastes, and my dislike of Red Backlights still holds true these are only minor annoyances and will not be an issue to most people, and certainly do not detract from the Quickfire Ultimate in any way. The Quickfire Ultimate is a solid improvement over the Quickfire XT and a very good step onto the tall ladder that is mechanical keyboards, and in the end the CM Storm Quickfire Ultimate is a very nicely priced mechanical keyboard.